Spray render machine is a good helper for conveying materials and plastering. The smearing wall is an indispensable process in the construction of the building. The smearing wall can protect the main body of the building and increase the aesthetics of the wall. It is mainly used for indoor and outdoor spraying, wall spraying, sound absorbing material spraying, waterproof surface spraying, etc. 1. Applicable spraying materials: water-soluble materials such as putty powder, paint, latex paint, real stone paint, cement mortar, dry mortar, thermal insulation mortar, waterproof material, fireproof material, heat insulation material, sound absorbing material. 3. You can adjust the flow size to get a better spray effect. 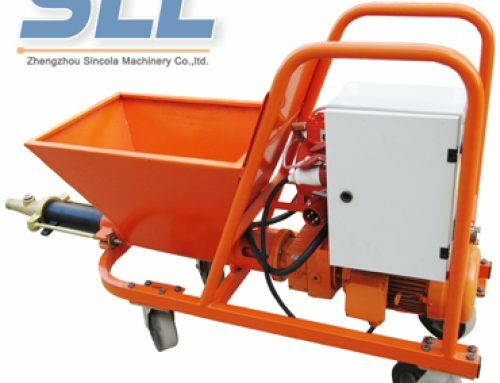 Why choose SINCOLA rendering machine?